Barges are visible in the foreground below the level of the platform, and a dozen hoists line the walls. 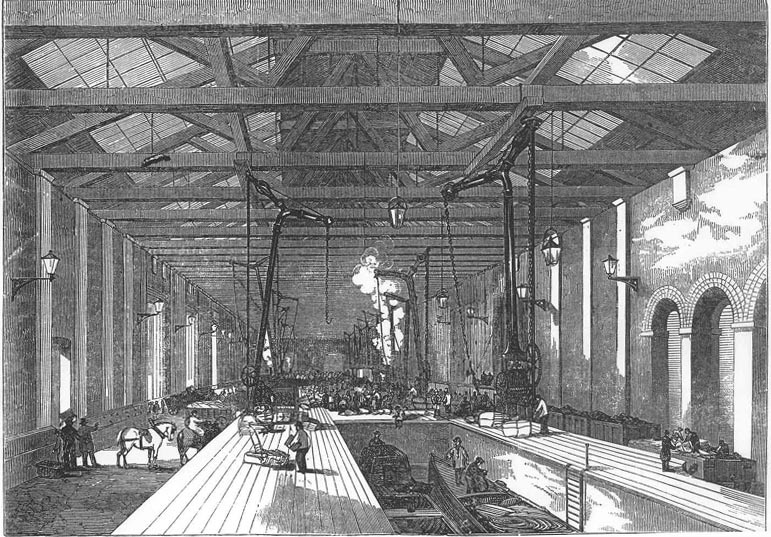 Since horses apparently provide power for the hoists, the steam arising in the background must be from a locomotive attached to some railway trucks. although the building has a glass ceiling, the grime on the panels probably explains the dozen lanterns high on the walls.